Nursery Furniture: What’s Essential? What Can Wait? Your baby needs sleep. And so do you. 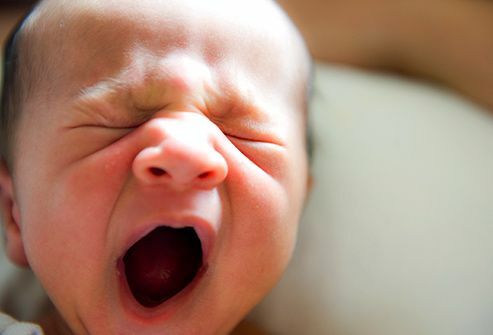 You’ll both sleep easier if you know what the sleep risks are, and how best to keep your little one safe while he slumbers. It’s unclear if having a sibling who died of SIDS increases the risk. Sometimes a baby’s airway becomes blocked while he sleeps. This can lead to sudden unexpected infant death (SUID). 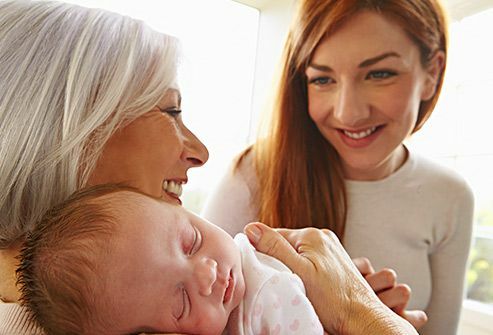 The National Institutes of Health has a public education campaign called Safe to Sleep to reach and inform parents and other caregivers. A lot goes into creating and keeping a secure sleep environment. Your baby should rest in a crib, co-sleeper, or bassinet that is free of everything except your baby. That means no bumper pads, quilts, blankets, pillows, soft toys, positioning devices, or reachable toys with strings. Make sure the mattress is firm, and always use a tightly fitted sheet. Soft bedding -- above or below your child -- can block his airways. You may see cribs with stuffed animals, other toys, or pillows in magazines and on TV. They might look cute, but they aren’t safe for your little one. Don’t let your baby nap on couches, swings, or any place beside their bed. Every time you put your infant down to get shut-eye, place him in his crib, bassinet, or co-sleeper with his face upward. That’s how your baby should sleep until he can roll from back-to-front and front-to-back. 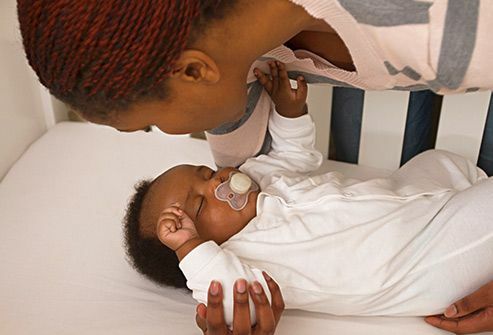 Sleep positioners, like wedges or rolled blankets, may seem like a good idea, but they can move out of place and get in the way of your child’s breathing. Because of the way babies are built, a healthy infant is less likely to choke when on his back, despite what you may have heard. He’s more able to cough out or swallow anything he spits up. When dressing your baby for bedtime, a one-piece sleeper or sleep sack is the best choice. Depending on the season, it can be lightweight or thick. It’s best not to use a blanket at all. The wearable blanket should keep him warm. One of the strongest ways to help prevent SIDS is by breastfeeding your baby. Several studies show that infants who are breastfed, even for a short time, are less likely to get SIDS. Do not breastfeed while sitting in a chair or on a couch if you are tired and in danger of falling asleep yourself. 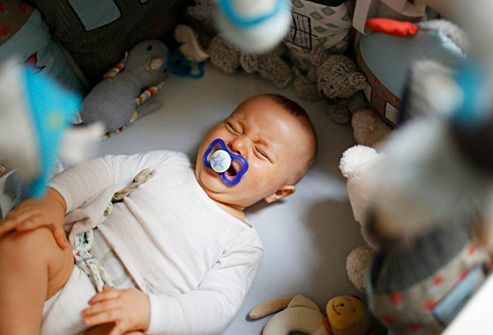 Pacifiers also lower the risk of SIDS. If you plan to breastfeed, don’t introduce a pacifier until you know your baby is doing well with nursing. Never hang the pacifier around his neck or attach it to his clothes while he sleeps. And there’s no need to put it back in his mouth after he’s fallen asleep. Don’t assume someone who’s caring for your baby knows how important it is to follow the Safe to Sleep guidelines. Go over those steps with nannies, babysitters, grandparents, and other friends and relatives who care for the infant. Make sure they know they always have to follow the rules. 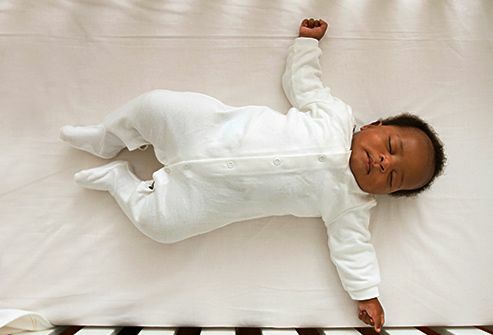 4) Image courtesy of the Safe to Sleep® http://safetosleep.nichd.nih.gov/ campaign, for educational purposes only; Eunice Kennedy Shriver National Institute of Child Health and Human Development. Safe to Sleep® is a registered trademark of the US Department of Health and Human Services. 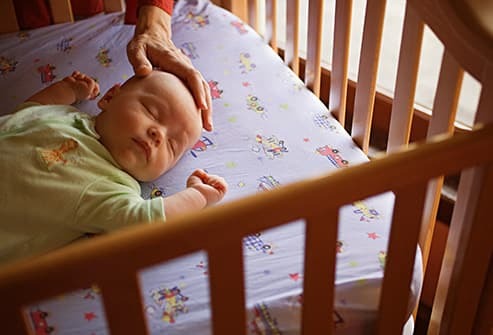 6) Image courtesy of the Safe to Sleep® http://safetosleep.nichd.nih.gov/ campaign, for educational purposes only; Eunice Kennedy Shriver National Institute of Child Health and Human Development. Safe to Sleep® is a registered trademark of the US Department of Health and Human Services. 7) Image courtesy of the Safe to Sleep® http://safetosleep.nichd.nih.gov/ campaign, for educational purposes only; Eunice Kennedy Shriver National Institute of Child Health and Human Development. Safe to Sleep® is a registered trademark of the US Department of Health and Human Services. Moon, RY. Current Pediatric Reviews, 2016. Sauber-Schatz, EK. Maternal Child Health Journal, 2015. Hunt, CE. Forensic Science, Medicine and Pathology, 2015. Filiano, JJ. Biology of the Neonate, 1994. Hunt, CE. American Journal of Respiratory and Critical Care Medicine, 2001. American Academy of Pediatrics Policy Statement. Pediatrics, 2011. Willinger, M. Archives of Pediatric and Adolescent Medicine, 2003. Li L, Zhang Y. American Journal of Forensic Medicine and Pathology, 2009. Hauck, FR. Journal of Community Health, 2015. Varghese, S. Journal of Perinatology, 2015.